Our students who attend elementary, middle and high schools throughout the Eagle River and Chugiak areas are still dealing with the aftermath of the Nov 30th, 2018 earthquake that reached a magnitude of 7.0. 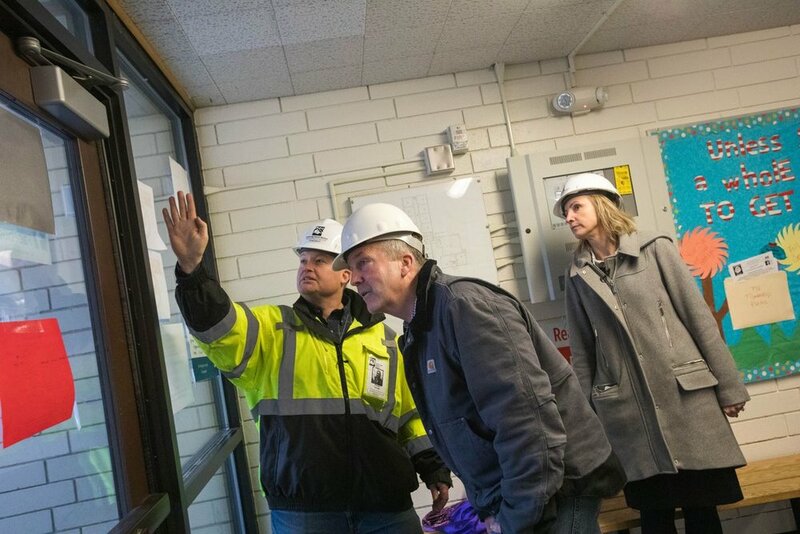 Damage remains that has required two schools to be closed down for extensive repairs and demolition, displacing our students, and their family routines to other area schools, adding stress and discomfort to themselves and the host schools alike. As we all work to get back to normal, let’s do everything we can to ensure these schools get the funding they need to recover quickly. SCHOOL DISTRICT BOND DEBT IS COMING DOWN!! The Anchorage School District routinely retires more bond debt than they ask for, this year is no exception. This year's bond request is $50.6 Million, and the debt being retired is $56.5 Million. The bond package proposals pay for school building roof replacements, roof improvements, fire suppression, seismic, safety, and code upgrades, and school planning and design at 15 schools. Anchorage voters will consider the 2019 school bond on the April 2nd ballot. Voting this year is by mail and ballots must be postmarked no later than Election Day, April 2, 2019. 2019 Ballots will arrive in your mailbox the second week in March and all ballots are due returned or dropped off by Tuesday April 2nd. Got questions regarding upcoming proposed Anchorage School Bonds? Want clarification on how the bonds work and why you should be supporting bonding our schools? Drop us a line here with this form and we'll get back to you as soon as possible. Paid for by School Bonds Yes, Inc. Joelle Hall, chair. P.O. Box 200282, Anchorage, AK 99520. Largest three contributors: McCool Carlson Green, Nvision Architecture, Inc. and Bezek Durst Seiser.